Let us offer up praise to the humble poncho. Not only is the one-size-fits-most coverall the perfect way to punch up your winter wardrobe (or downplay the post-holiday paunch), but it's also incredibly amenable to layered clothing and accessories. Can't afford to buy one new? 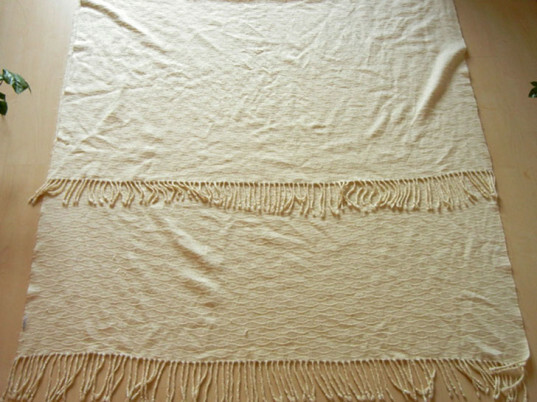 You can fashion a poncho using an old or underutilized blanket or throw. Here's how to get cozy in three steps or fewer. 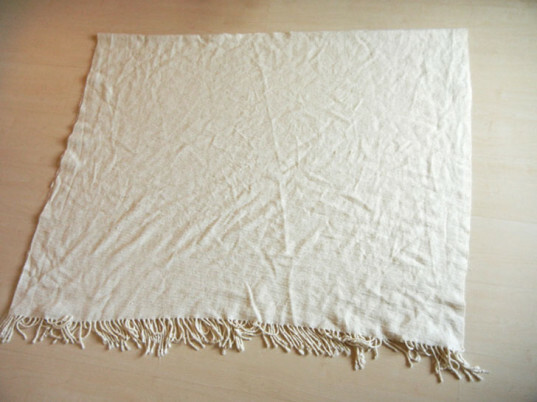 Decide how you want your poncho to drape over your body, then fold your blanket accordingly. 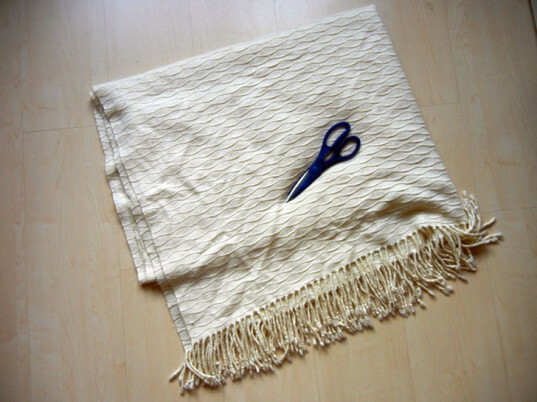 Some options are to fold it exactly in half (the front and back pieces of your poncho will be even), to fold it in thirds (for an asymmetrical effect), or even diagonally. The design is completely up to you. Next, figure out where your neckhole will go along your fold and mark it with a pencil or vanishing ink marker. Carefully cut along the line you marked. 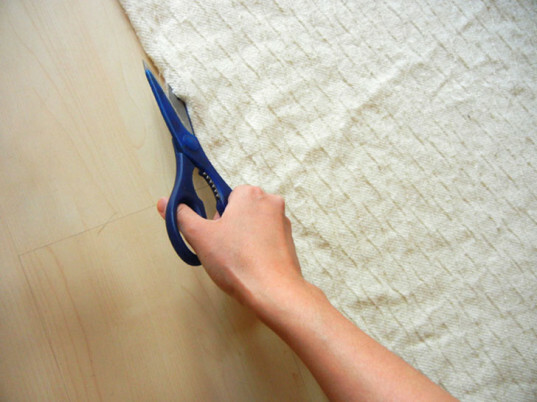 Remember, you can always cut more but you can’t uncut! Technically, you could stop after step two and wear your new creation. If you’d like to give your poncho a more finished look, however, you can hem the neckline with a sewing machine or good old needle and thread. If you need help with this part, check out this instructional video. You can also gussy up your new poncho with fringe, pom poms, or other accouterments. Originally published on Dec. 3, 2013. Next, figure out where your neckhole will go along your fold and mark it with a pencil or vanishing ink marker. Carefully cut along the line you marked. Remember, you can always cut more but you can't uncut! Technically, you could stop after step two and wear your new creation. 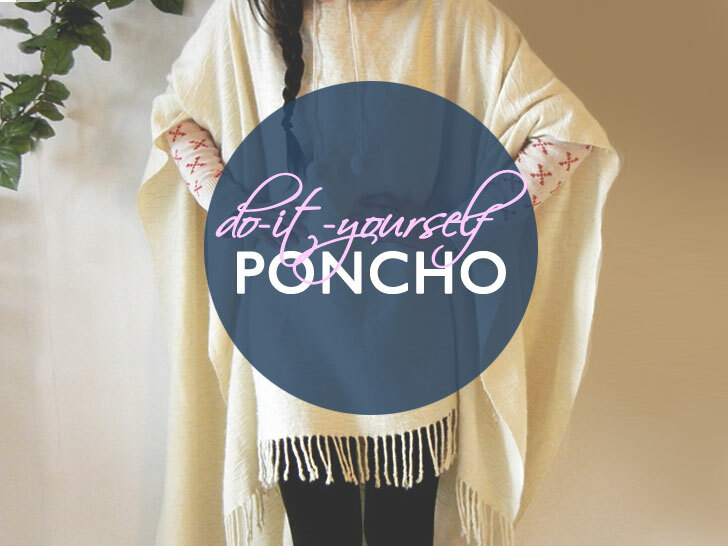 If you'd like to give your poncho a more finished look, however, you can hem the neckline with a sewing machine or good old needle and thread. If you need help with this part, check out this instructional video. You can also gussy up your new poncho with fringe, pom poms, or other accouterments.